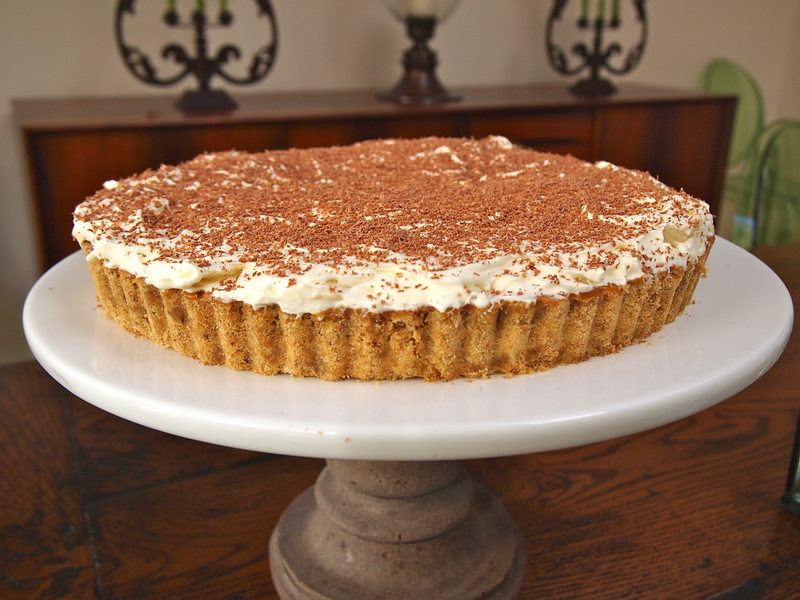 Caramel, cream, bananas – need I say more! I’m not sure if the origins of this pie are English or American but the name is obviously derived from the toffee and banana combination. 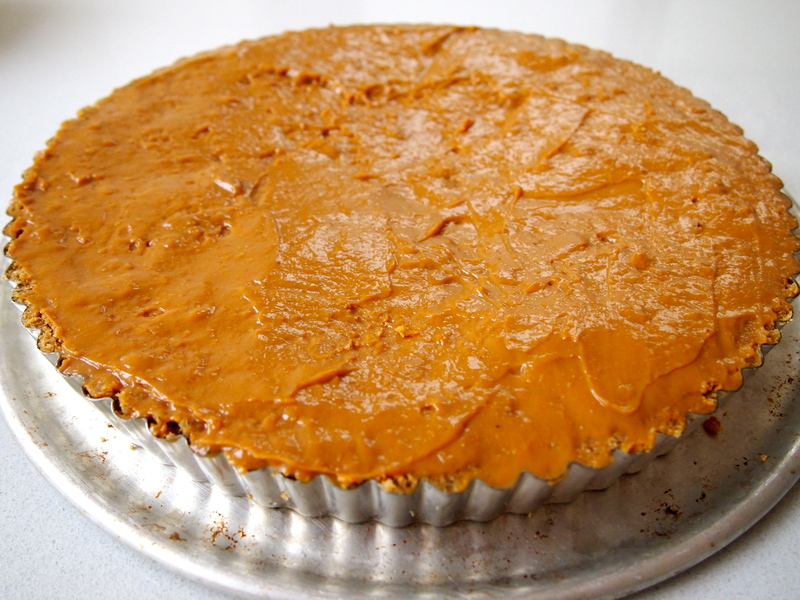 If you’re able to buy condensed milk that has already been caramelised in the can (Nestle’s make this in Australia) then it’s a cinch to make this pie. If you can’t, then you need to go through the process of simmering your cans of condensed milk in a large saucepan covered with water for 3 hours. The water must never get below the level of the cans otherwise they’ll explode and you’ll have one almighty mess to clean off your ceiling. 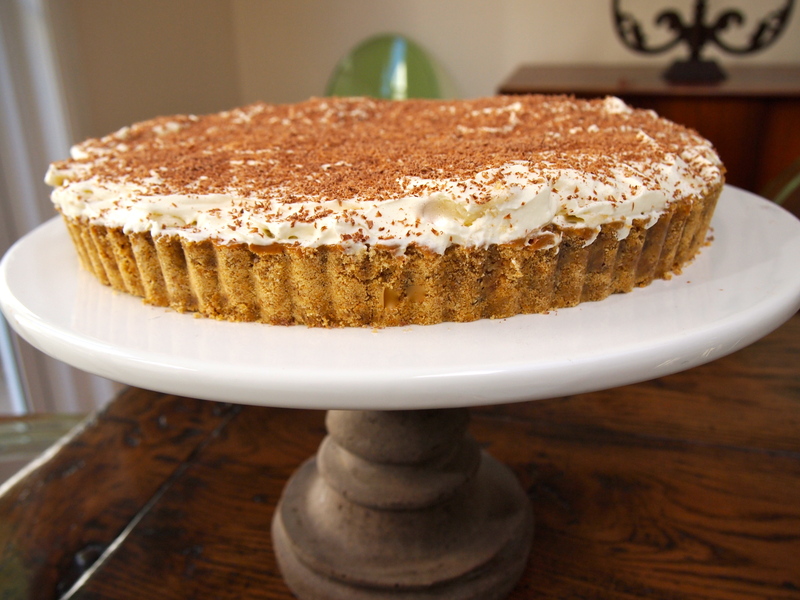 The Banoffi pie was invented in a restaurant called the Hungry Monk in Jevington, East Sussex, England, round about 1972/3. Its success in this Restaurant soon found its way across the Atlantic and further afield. Now of course there are many variations on this recipe, i.e. crumb base, pastry base, . 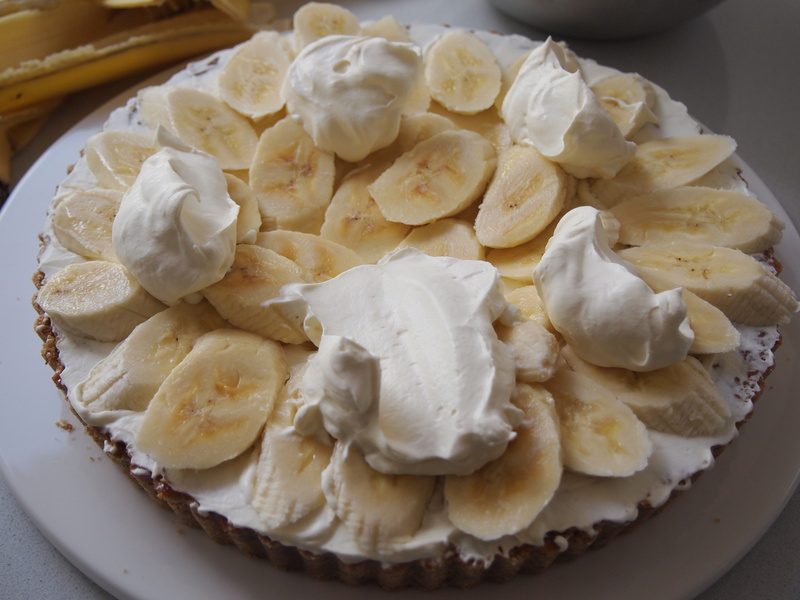 but the original was just a shortcrust pastry base, caramel sauce, sliced bananas, and smothered with thick whipped cream mixed with half a teaspoon instant coffee granules, and to finish just sprinkle a little coffee granules. However you make it and the changes you prefer it is ABSOLUTELY DELICIOUS. Hi Maria, Thanks for the very interesting information! And I agree it is delicious! 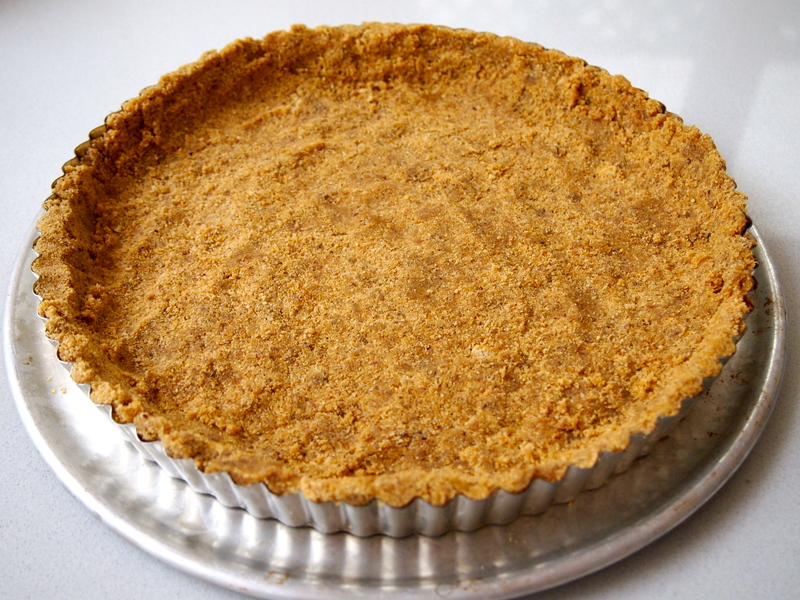 Thanks for your comment, Farida – so glad you enjoyed the Pie it’s totally scrummy!